Linzi knew from an early age she was going to be an artist; however, she thought it was going to be a performing artist. Her parents had sent her to theatrical school when she demonstrated as a young child a talent for finding drama in the everyday. 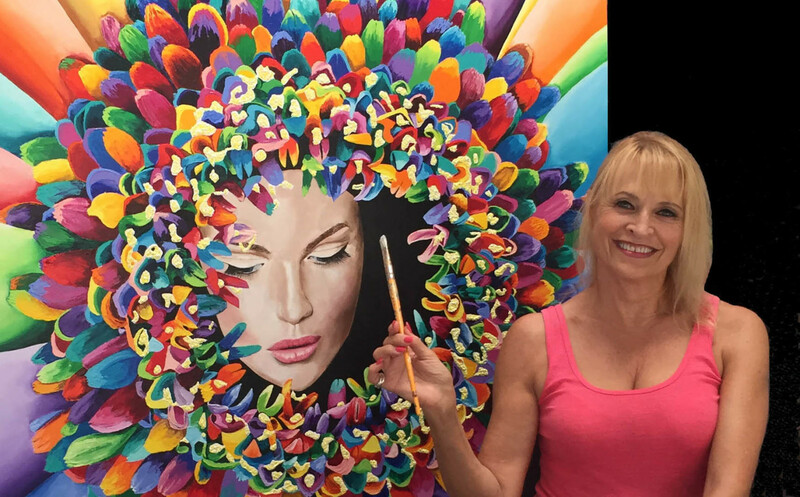 In 1973, Linzi began channeling her artistic creativity into painting. Her theatrical background helped her to be sensitive to the emotions of her subjects which she was then able to capture on canvas. One of Linzi’s commissions was by the National Rural Letter Carriers for a pencil portrait of Benjamin Franklin. The subtle soft realism that can come from her pencil is in surprising contrast to her more recent bright, expressionistic paintings. Capturing a special moment in someone's life is what Linzi most enjoys, and she has done this for numerous private clients and welcomes additional commissions. A native of London, Linzi came to the United States in 1992, after living in the South of France for many years. She now calls Los Angeles, California home.